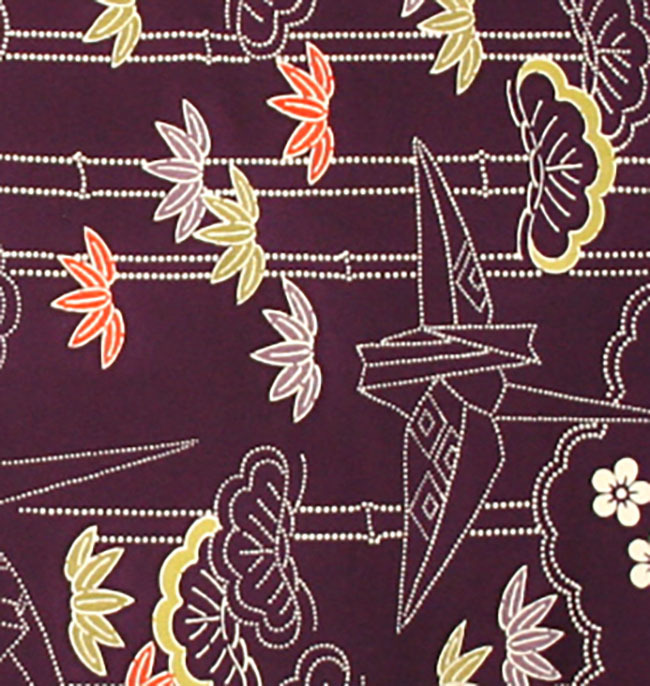 Kimoyes item: 22942 - Soft and smooth kimono silk with bamboo and crane design. Soft and smooth kimono silk with bamboo and crane design. This soft aubergine coloured silk has a lovely drape.